TOKYO -- Long guarded about what was beneath the hood of its pioneering Prius cars, Toyota Motor plans to open up its powertrain technology to rivals, hoping this will boost sales and speed up the industry's shift to lower-emission vehicles. Announcing last week it would expand its gasoline hybrid technology development, Toyota said it would consider selling complete powertrain modules - engines, transmissions and other drive components - to its competitors. The prospect of giving rivals access to "one-size-fits-all" powertrains comes as cars are increasingly dependent on computerized components, making it easier to design similar parts across model ranges. The industry has moved on from competing largely on mechanical engineering. As cars become more like glorified computers, automakers are standardizing many mechanical parts and competing more on style and packaging - giving drivers a bigger range of features from automated parking to cockpit concierges. For Toyota, this is a big departure from having a tightly-knit network of suppliers keeping much of their jointly developed technology exclusive so as to have an engineering competitive edge on rivals. "Toyota suppliers produce a lot of technology which can only be used by Toyota," Toshiyuki Mizushima, president of Toyota's powertrain company, told reporters. "We want to change that to a system where we develop technology with our suppliers at an earlier stage ... so they can make that technology available to non-Toyota customers." Mizushima, who joined Toyota a year ago from group company Aisin Seiki, noted, for example, that past versions of Toyota's hybrid system didn't fit other automakers' cars, limiting suppliers' options to sell to non-Toyota customers. Powertrains combine parts often made separately by several independent parts makers, but Toyota's are unique in that they are made by its group suppliers, allowing engineers at the automaker and its suppliers to collaborate in development. "Until now, we couldn't sell the same inverter used in Toyota's previous hybrid system to other customers because it wouldn't fit the motor, or the voltage was different," said Yoshifumi Kato, executive director of engineering r&d at Denso Corp, Toyota's biggest supplier. "We can avoid this issue if suppliers can sell the entire system," Kato said. The move should help auto parts companies such as Denso and Aisin spread their customer base and compete better against global rivals including Robert Bosch and Continental. Currently, Toyota accounts for around half the annual sales at Denso and Aisin. Mizushima said he would like to see Toyota offer its powertrain modules to all its rivals, in an industry where more automakers are setting up exclusive tie-ups on parts. Nissan Motor this year launched the Infiniti QX30 luxury compact crossover using engines and other parts developed and made by Daimler's Mercedes-Benz and its suppliers. Toyota already shares components for Fuji Heavy Industries' Subaru BRZ sports car under a joint development agreement. In opening up its proprietary technology, Toyota is acknowledging the escalating costs of r&d, as global automakers vie to develop hybrid and all-electric cars, self-driving cars and cars connected to mobile technology. 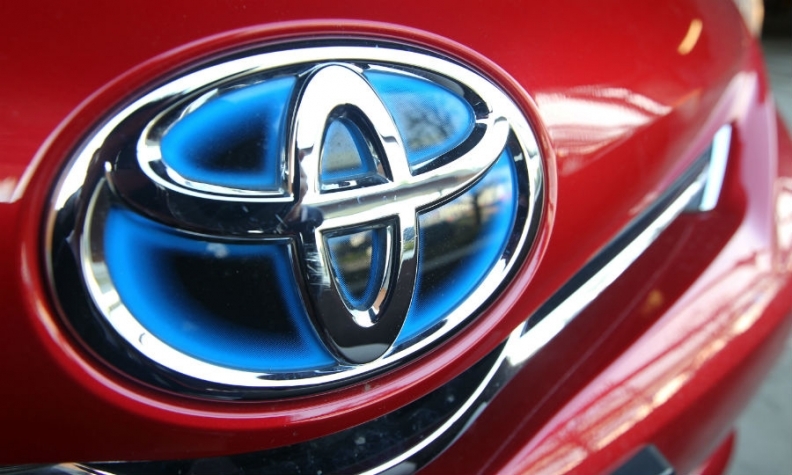 Toyota's r&d spend last year was 73 per cent more than in 2010 at around US$9 billion, while spending at Volkswagen Group, its biggest competitor, more than doubled over the same period. As automakers are having to invest more, they are cramming as much technology as possible into each vehicle, while limiting price increases. Toyota and its suppliers expect their newer production platform will mean making a lot more of fewer common parts across its models, and selling them to other automakers to earn back more of the money spent on r&d. "If we take a component developed with Toyota and sell a million to Toyota and another million to other customers, it would double our return on our development costs," said Denso's Kato. Toyota's rivals, too, should be able to keep their own development and procurement costs down if they can source off-the-shelf from Toyota, say industry consultants. "It could be a win-win for Toyota and its rivals because Toyota could develop another sales line, while customers could gain access to components which may be cheaper and of higher quality than the same parts developed in-house," said Takeshi Miyao, Asia managing director at Carnorama.